Have you ever seen a child’s face when the go to the mailbox to get the mail and realize that there is a letter or package for them? They love it! Well, fortunately for us, our kids got something awesome in the mailbox recently. They found a package from the Animal Trackers Club. Have you heard of this yet? Well if not, I am going to tell you all about it. You sign up online for a monthly subscription to the club. Then each month your child receives a new Safari Animal themed package full of fun activities, play figures, and information cards to collect. The first package is the starter pack and has everything you need to get you started including a lunch box to store all the magnets, figures, and animal tracks cards they will get every month. Also in the first package is a Safari Art Activity which helped my kids learn about this habitat. We loved playing the animal matching game. We also got the first monthly package which was all about zebras. I incorporated the zebra activities into our preschool curriculum and we also studied the letter z. 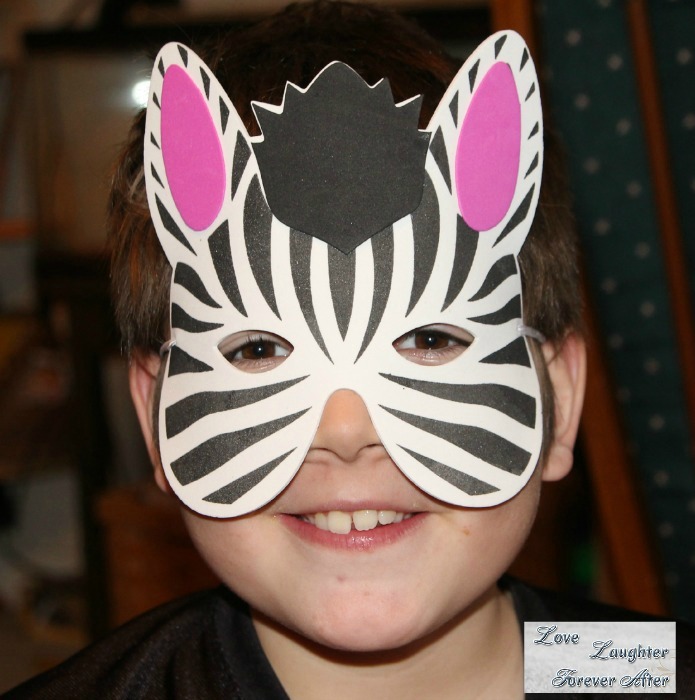 Even though Animal Trackers activities are a better fit for my preschooler, my big kid enjoyed entertaining his brother with the zebra mask and the Magic Nuudles activity. I can’t wait for our next monthly package to arrive. We had so much fun doing the activities and learning about the African Safari habitat and zebras. 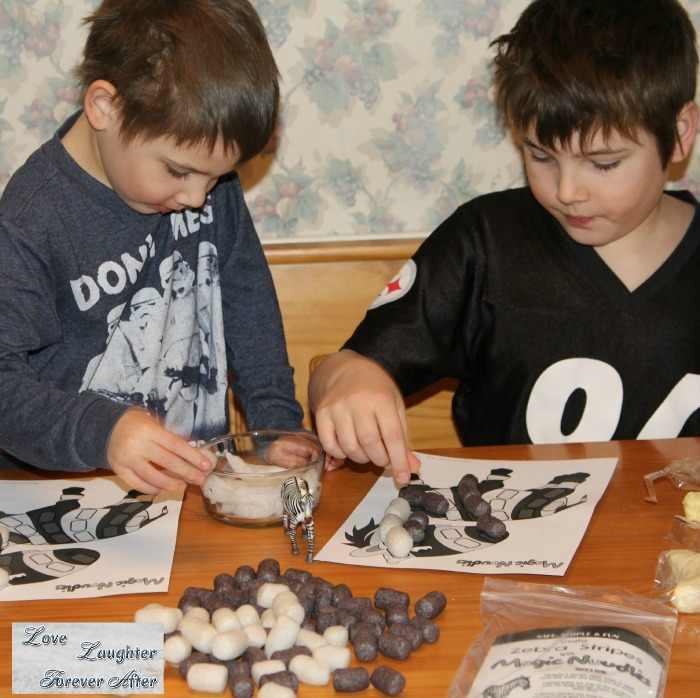 Be sure to tell grandma and grandpa about the Animal Trackers Club. A subscription is a perfect suggestion for grandparents who are looking for a great birthday gift or just because gift. Love this subscription, like ones that the kids can learn from and also get hands on and have fun. Cute masks! This looks like a fun surprise to get…who doesn’t like getting packages in the mail. That looks like fun! My kids would enjoy that so much. So cute! I love Zebras! Anything that encourages your child’s imagination and their intelectual mind is a winner in my book. These look like a great monthly box to scoop for my munchkins, I defnintly plan to look into it myself!! thanks! Great gift idea. Something other than the usual gifts. Oh.My.Goodness!!! This looks like so much fun!!! 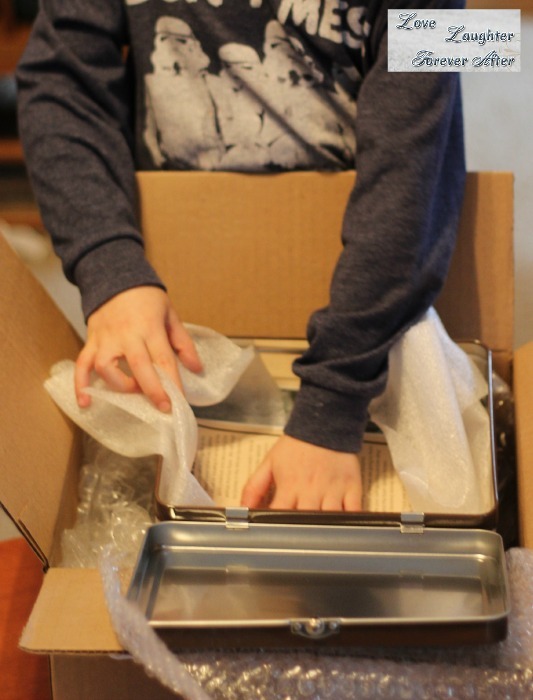 You don’t have to be a kid to get excited about packages arriving in the mail. I suppose, for a child, even more so. This is very cute. Thank you for the information. Z Is For Zebra is so cute! Very cool idea for children. If I had little ones I would sign up for this. It’s always fun to get a package in the mail. The kids especially, get a kick out of it. I still get excited when I get an unexpected package. Great idea for the little ones. Thank you for the information.